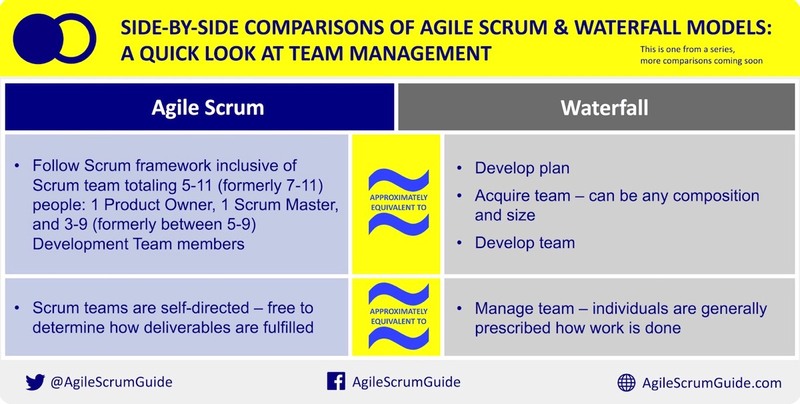 The information is also shared simultaneously on Twitter (@AgileScrumGuide) and Facebook (AgileScrumGuide). This comparison is one from a series. Additional content—comparisons on scope management, quality management, etc.—will be posted subsequently. Agile Scrum: Your Quick Start Guide with Step-by-Step Instructions is available in digital and print at Amazon. For more on the book, please see the digital media kit at agilescrumguide.com.